Matteo Ricci (利马窦) the Italian Jesuit Priest who came to China during the 16th Century Ming Dynasty of WanLi 万历 Emperor, tried to evangelise the Imperial Court Mandarins with his impressive western Science knowledge and Mathematics. In1607 Ricci translated Euclid’s Masterpiece “The Elements” in Chinese with the Prime Minister Xu GuangQi (徐光啓), the later named Geometry as “几何”, a Chinese term still being used today. 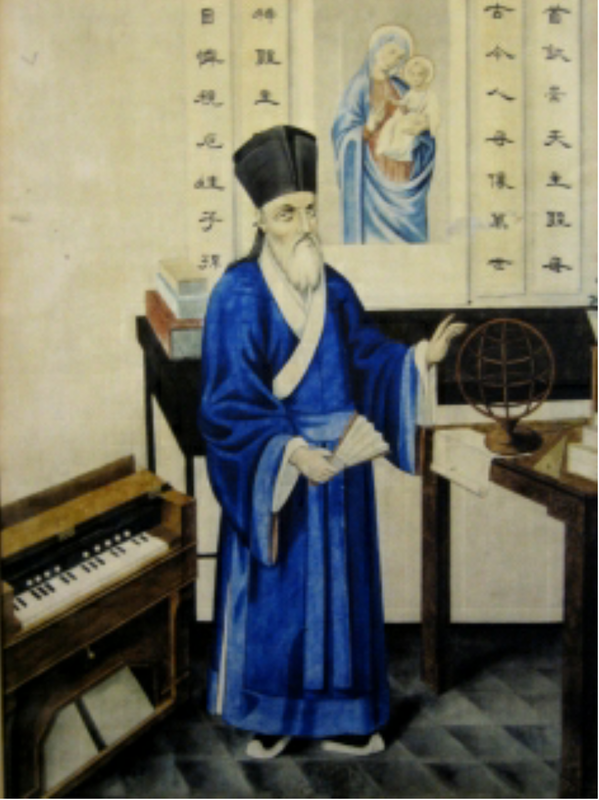 Paul Xu and few Scientist Officers were baptised by Ricci as the first Catholics in Chinese history. Ricci stopped the Euclid translation at Book 6 of 15 (Euclid’s 13 books + 2 add-on books from Ricci’s Jesuit professor Clavius), albeit the earnest plea from Xu to translate the remaining 9 books (likely because Ricci himself was not taught in Rome before he left for China), which were later translated by a British Alexander Wylie and a Chinese mathematician 李善兰 in 1857 of Qing Dynasty. Ricci spent his remaining life in China because the Catholic Pope in Rome, influenced by the Macau-based Franciscans (then the opponent of Jesuits), prosecuted him for being ‘compromised’ by Chinese rituals of Ancestor Worship. Now the current Pope Francis wants to befriend China, which broke diplomatic tie with Vatican in 1950s, intents to beatify Matteo Ricci : The first Saint ‘Mathematician’ !